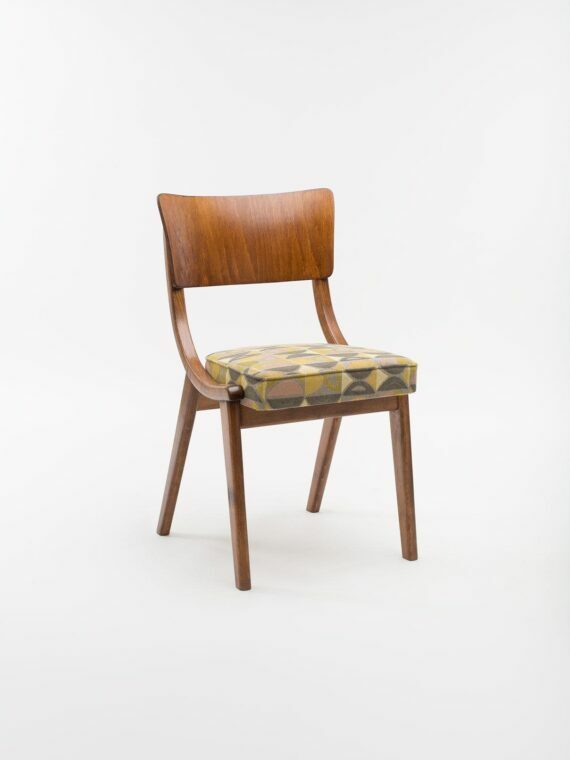 The iconic project of Polish industrial design from the 1960s. 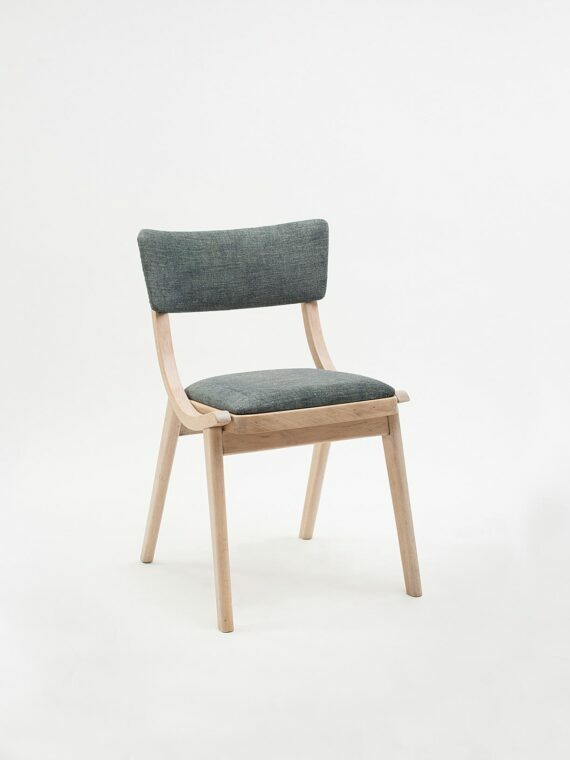 The chair was created by Professor Rajmund Teofil Hałas, who started his career as a carpentry master in his father’s factory to later become a university professor. 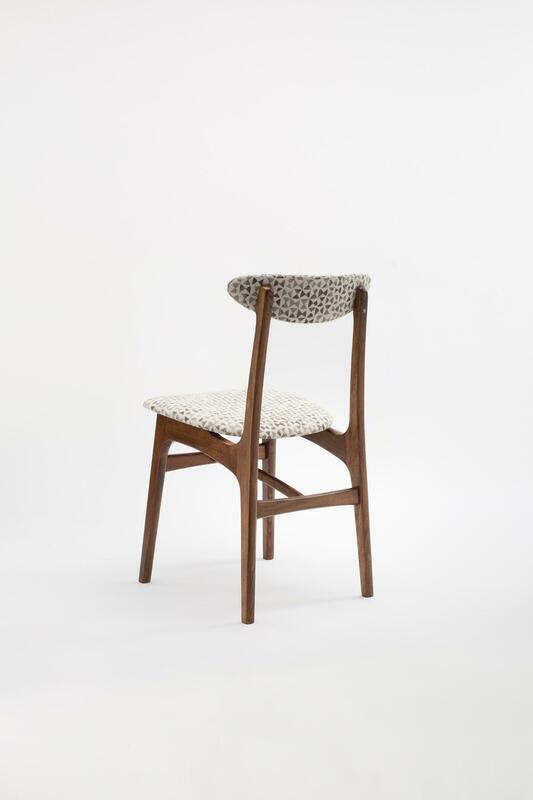 The artist is the author of many projects, including several iconic ones, such as variable height bookshelf from 1959, and many others honored with prestigious awards. 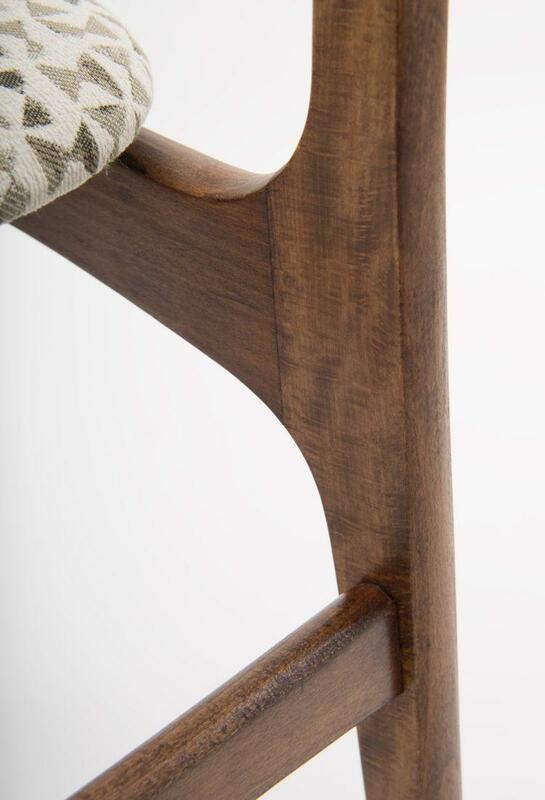 Chairs have undergone comprehensive restoration. 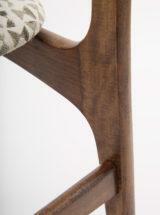 The wooden frames have been cleaned of the old varnish coat, stained in a light brown color and protected with varnish. 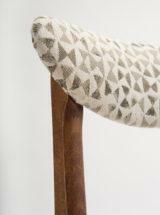 Upholstery on the backrests and on the seats has been replaced. 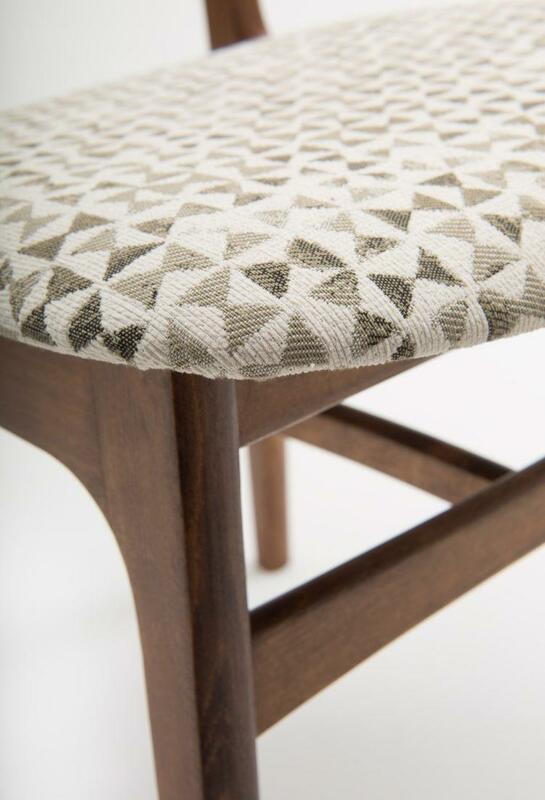 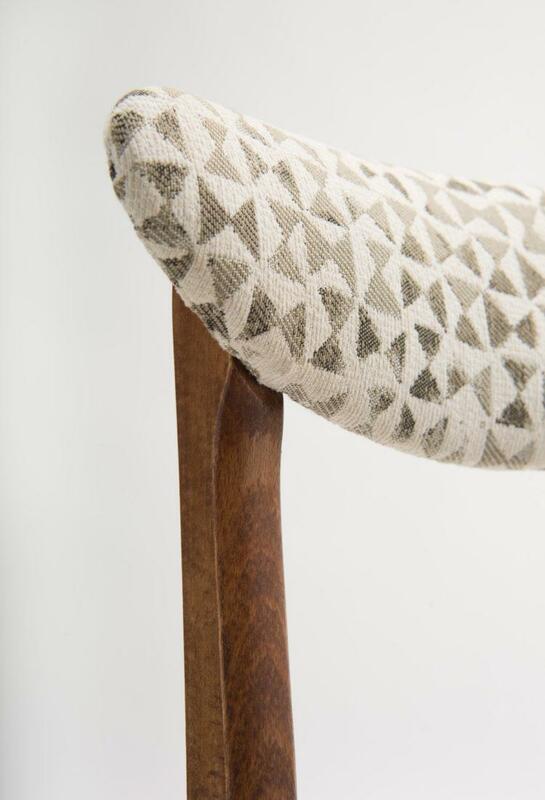 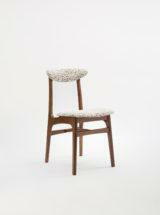 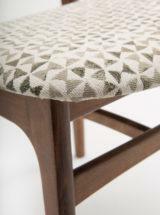 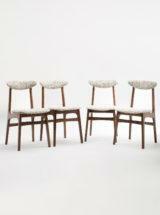 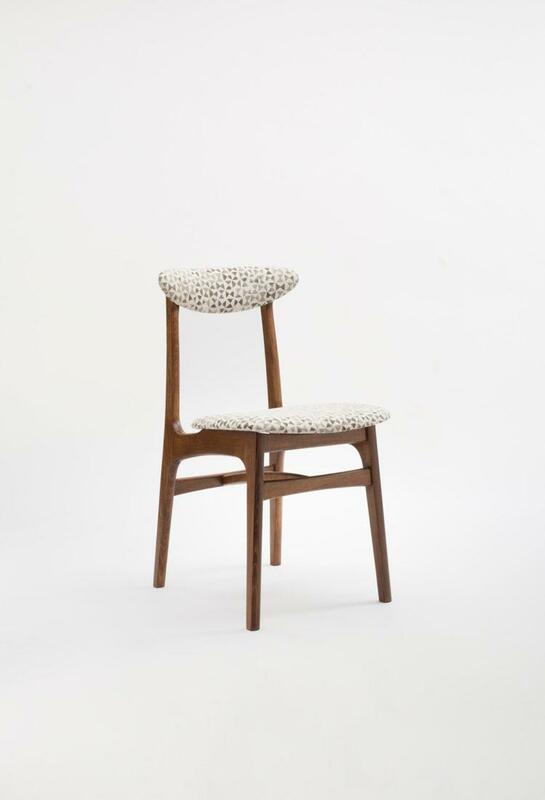 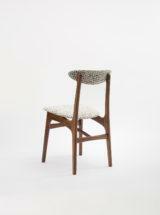 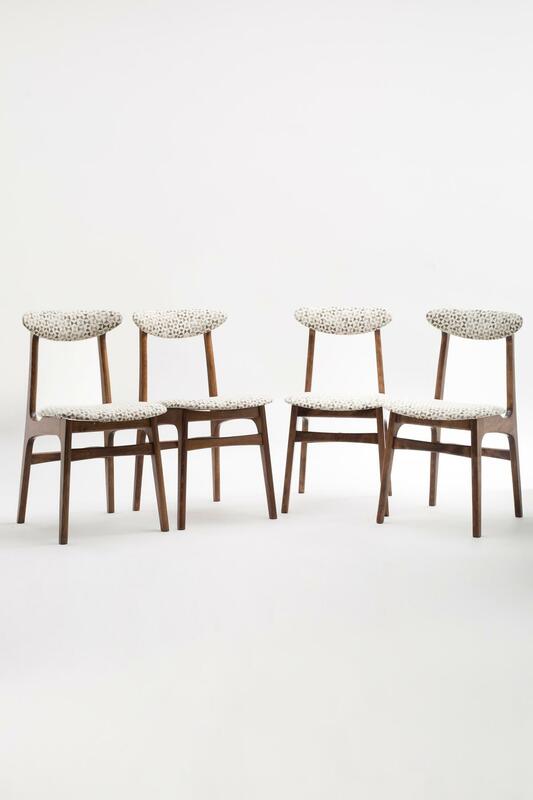 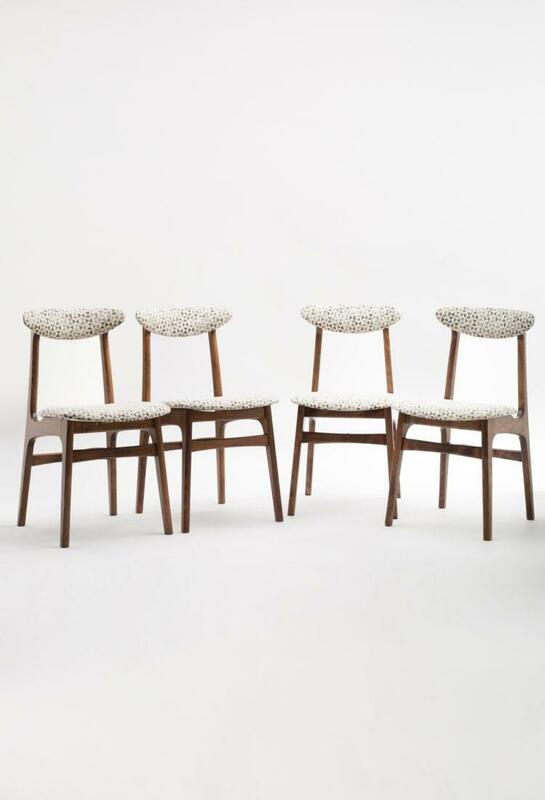 Fashionable felt fabric enhances chair’s original design.